Have you ever been at a loss when it comes to ordering a cocktail? Do you ever order “the same old thing” because you don’t know what else to order? That is about to change. Whether you’re seated at the bar, at a table, or standing at a cocktail party, you can use these tips to become a cocktail bon vivant (or at least to enhance the illusion that you are one). Remember that your server, whether a bartender, a cocktail waitress, or a server in a restaurant, is there to serve and to make your visit enjoyable; you should expect that. On the other hand, you owe them respect and courtesy. They have a tough job and may be busy; don’t give them a hard time or be too demanding – you must walk a fine line. At a cocktail party, your server may not be as knowledgeable or experienced and there may not be a menu, so be prepared to go with one of your favorites if these tips don’t seem to get you anywhere. If the bar or restaurant has a cocktail menu, check it out. Is there anything that jumps out at you and says “drink me!”? If yes, give it a try. This is also an opportunity to see what brands they say they are pouring. Ask your server questions: What are the house specialties? What drinks are “hot?” What are people ordering now? If anything sounds interesting or exciting, give it a try. This is also an opportunity to begin assessing the quality and class of the service, always within the context of how busy they are. If they’re not very busy, but can’t make time to talk to you, you have to mark down the service. Use good judgment, though. If you’re at the bar, chat up the bartender (once again assuming he’s not too busy) and see if he enjoys his work. If he does, ask him what new cocktails he’s working on or mixing. Ask what cocktails s/he recommends, and give one of them a try. See what brands of liquor are on display, and try to determine if they are actually used in the drinks. If the liquor is (shall we say) less expensive, stick with tall, dilute drinks that are more mix than booze, or get a mixed drink on the rocks. 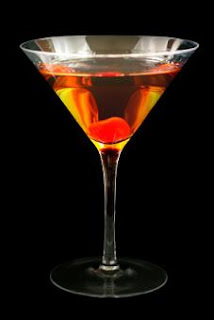 If you like the brands they’re pouring, you might want to try a Martini, a Manhattan, or even a Sazarac. As you take your first sip, look around and decide if you would come back again or recommend the joint to friends. How is your cocktail? Does it taste as it should (assuming it’s something that you’re familiar with). Does it taste like the advertised brand was used, or was a “lesser brand” substituted. Is it at the correct temperature? Sad to say, many establishments don’t pre-chill their glasses, but you should never get a cocktail in a glass that’s still warm from the dishwasher; that’s a sign that they just don’t care. How do you like the atmosphere and the decor? Are the servers friendly and knowledgeable? How did they answer your questions? What do you think of the clientele? Do you and your friends fit in (and, if not, would you like to)? Or do you feel uncomfortable? If there’s something you don’t like, leave soon and don’t return. Keep a PDA or notebook handy. Note the name and ingredients of any cocktail you like so you can order it again or try to make one at home. (Cocktail menus often list the main ingredients of the cocktails.) You may even discover a new addition to your short list of favorite cocktails. Be on the look-out for new cocktails, or those with ingredients you don’t have at home (e.g. Chartreuse), so you can sample them without having to buy bottles of liquors or liqueurs that you might only use once, or very seldom. Have a short-list of your favorite cocktails to fall back on (your list should change and evolve over time), but don’t go there first unless you recently made a new addition or have a new favorite. If necessary, keep your list in your notebook or PDA for inspiration. Old stand-bys are dependable and may even be reliable, but this is your chance to try something different. Drink responsibly. Your goal is to have fun and feel good, not to get plastered. If you’re driving, don’t drink. If you’re drinking, stop after two or three cocktails and switch to water or soft drinks. 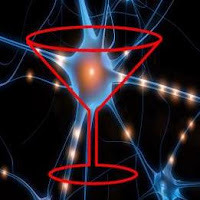 Another cocktail won’t make you feel any better tonight, and it certainly won’t make you any smarter. Knowing when to stop will, however, make you feel better tomorrow.